Liverpool FC's Red Neighbours programme has launched a new initiative aimed at tackling social isolation in the Anfield area. 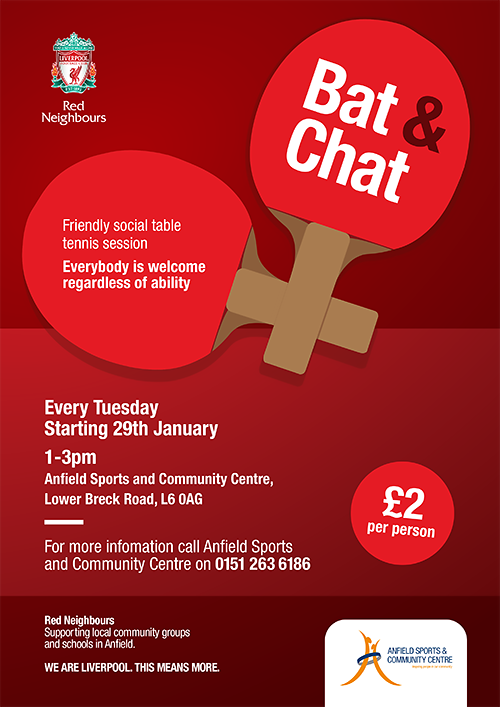 'Bat and Chat' is a social table tennis group which encourages locals to be more physically active whilst enjoying like-minded company with fellow residents. 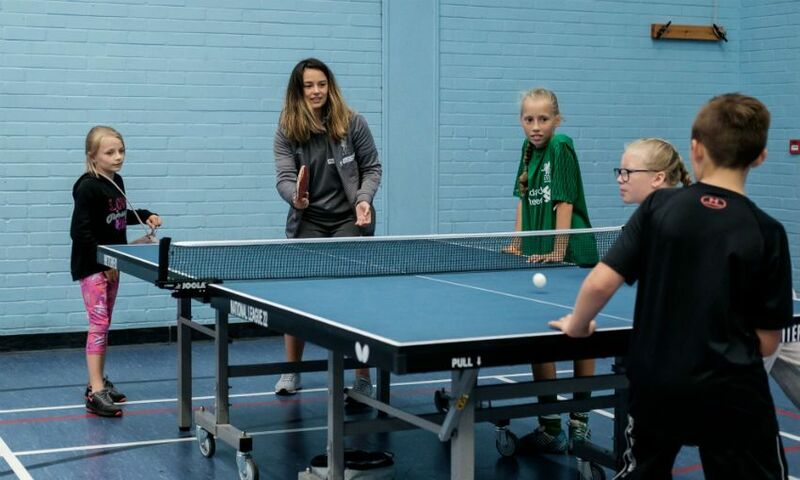 Participants of all ages and abilities are welcome at the weekly sessions, which take place on Tuesdays from 1pm to 3pm at Anfield Sports and Community Centre. Bat and Chat joins Red Neighbours' Walking Football, Walking Netball and Chair Based Yoga in providing Anfield residents with opportunities to keep fit and make new friends. Encouraging a physically active community and support for the elderly community are two of the main areas of focus of Red Neighbours, alongside food poverty, education and creating memorable experiences for young people. For more information, follow @Red_Neighbours on Twitter.